A US research center has documented a series of evidence that the United Nations has sided with the Houthis and the mullahs of the Iranian regime when dealing with the humanitarian crises in Yemen. The Islamic State of Iran Crime Research Center (ISICRC), the US Center for Monitoring the Crimes of the Iranian regime, said in a report posted on its website that the United Nations obtained a video showing that a UN World Food Program truck was attacked by mortar fire. The clip included the voices of the Houthi militia members speaking in Arabic and shouting slogans. However, the press release issued by the United Nations World Food Program did not refer to the Houthis in commenting on the incident. The US Center confirmed that the UN office in Yemen showed its blatant bias towards the Houthis and their allies even before this incident. 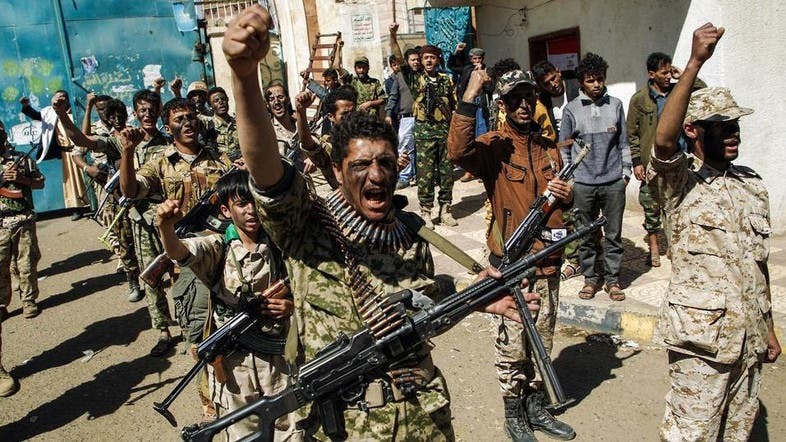 In 2006, the Houthi militias marched through the streets of Sanaa chanting slogans in support of their military leader, Mohammad Ali al-Houthi. Suddenly, and according to the center, George Khoury, Country Director of the United Nations Office for the Coordination of Humanitarian Affairs (OCHA) in Yemen, joined the march and addressed those assembled with a speech in support of the Houthis, in a precedent that demonstrated the United Nations involvement and bias towards the pro-Iranian militias. The UN’s bias did not stop there, but it expanded, according to the American Research Center for Monitoring the Crimes of the Iranian Regime, to include Hezbollah militia in Lebanon. The Center reported that Ruwaida al-Hajj, a Lebanese Shiite close to Hezbollah, was preparing to take over the UN Secretariat’s expert team in Yemen and chose Beirut - which is controlled by Hezbollah - as headquarters of the UN Secretariat, despite the protests from the Yemeni legitimate government. However, the UN Human Rights Council did not object, and even went along with the plans.